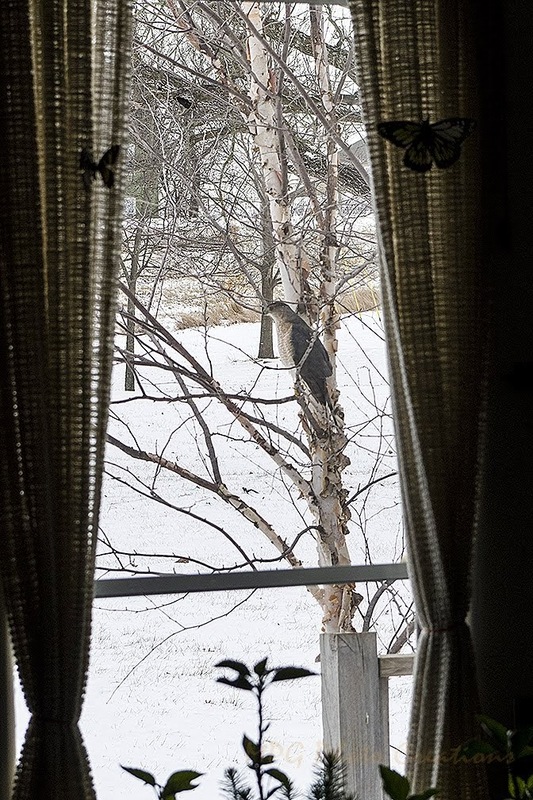 My image today isn't the best one ever but it was of an interesting visitor to my yard late this winter. 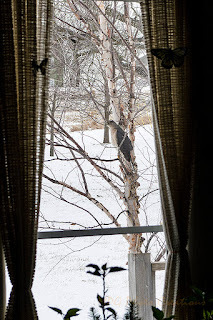 I was working at the dining room table and looked up and was quite surprised to see this bird hanging out in the tree. All I had handy was my normal lens but I didn't want to miss getting a shot and it did fly off right after I snapped this image. This is a Sharp Shin Hawk that was perched in the River Birch tree trying to prey on the little birds at the feeder. I don't think it got any at this time. Still a great capture. I've got lots of photos I don't think are that great, but they capture a moment in time that I'll never get to repeat, so I keep them. Very true. Thanks much Tom! It was very cool to see in the yard.